Dusseldorf-based E.ON made its presence known at the beginning of 2015 by becoming the first of the UK’s big six energy firms to slash prices and, in doing so, the first to pass its savings on to consumers. This 3.5 percent reduction on its standard gas tariff – equivalent to two weeks of gas use – underlined the company’s long-standing reputation for firsts. Yet the decision was only a minor part of a much wider corporate strategy, focused on capitalising on a shift in favour of renewables and new sustainable technologies. The sentiment is typical of E.ON, in that the firm has responded swiftly to a time when slumping oil prices and a changing energy mix are challenging firms to rethink their strategies on a fundamental level. E.ON’s resident Germany is no longer the economic powerhouse it once was, and the group’s exposure to European markets and commitment to emerging economies has brought with it fresh challenges. 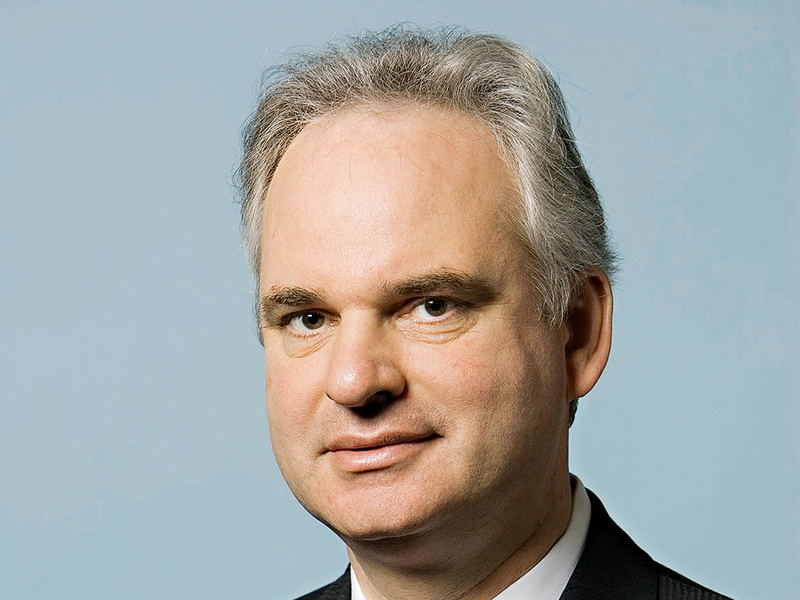 However, the company’s credibility remains very much intact, and E.ON’s reigning CEO, Johannes Teyssen, has shown time and again that he and his executive team are capable of navigating an ever-challenging energy market. Today, as the industry embarks upon a new and radical line of thinking, the executive’s focus on renewables and willingness to instruct swift and progressive change stand E.ON in good stead to capitalise on changing consumer sentiments and a transition to low-carbon energy. After an already long and successful stint at the company, beginning in 2001, Teyssen was appointed CEO in the spring of 2010, as part of a radical and wide-reaching management shake-up. Teyssen was joined by Marcus Schenck as CFO and showed no hesitation in bringing in two external parties to replace the two outgoing members of the management board. The appointment of the German economist and lawyer also marked a key turning point for a company that was, unknown to them, about to face a decision from up high to pursue renewables in place of nuclear power. With the Fukushima crisis of 2011 came the realisation that a dependence on nuclear power could bring with it damaging repercussions, not least homelessness and serious health hazards. Accordingly, the German government announced its plans to phase out nuclear power before 2022. However, the turnaround was not without consequence, and the decision to scrap nuclear power has since cost the economy countless billions of euros, to the point where the €34bn put aside by plant operators is not enough to cover the losses. Still, Teyssen is of the opinion that the decision represents a “huge opportunity” for the country, though his own commitment to renewables has not always been as unshakeable as it is now. In 2013, he joined nine of the region’s leading energy executives to warn against overly generous subsidies for green energy technologies, and said renewable subsidies were reaching an “unbearable” level. However, he demonstrated laudable flexibility at the annual Eurelectric conference, when he said: “10 years ago, renewables were in an immature state and needed to be nurtured: today, they are the biggest animal in the zoo and, if you continue to treat them as imbeciles and feed them baby, nutrition you will just get a sick big cat.” This did not, however, stop critics from pointing the finger at Teyssen and those like him for failing to spot the potential of renewables earlier and for choosing instead to pursue unprofitable gas-fired power plants. His initial firm stance apart, Teyssen has an impressive record in the energy business, particularly with regard to renewables. E.ON lost billions of euros to write-downs and lost revenue after the country’s nuclear shutdown, yet the German firm is now an entirely different value proposition, having set up in markets apart from its own, and bought into new and emerging energy opportunities. In fact, Teyssen has impressed to such an extent that, in 2013, the firm chose to extend his contract by another five years, deciding he was capable of leading E.ON through what is still a tough market. Where once E.ON was well positioned to take on an energy market dominated by fossil fuels and nuclear power, the region’s changing priorities have forced the company to rethink its stance on renewables. The fact E.ON is today a leader in the sector reflects extremely well on Teyssen. The company most recently caused a stir towards the latter stages of 2014, with a controversial decision to split its business into two separate entities. The shake-up will see any fossil fuel generation assets spun off into a new company, while the other part will focus on renewables and clean technologies. The move marks perhaps the most ambitious commitment to renewables of any European utilities firm, and underlines Teyssen’s ambition to make good on a new sustainable strategy. Under Teyssen’s leadership, the firm’s strategic theme is to offer ‘cleaner and better energy’. By measuring the impact any operations have on society, business and the environment, E.ON can not only forecast future energy trends but also shape them. Consumers are more highly attuned to the implications of energy use than ever before, and major names in the energy business must accommodate changing consumer attitudes and expectations as best they can. E.ON’s decision to split its business into two, therefore, is nothing more than a necessary response to changing consumer appetites and a global transition to low-carbon energy alternatives. E.ON’s new sustainable division will focus on renewables, distribution networks and customer solutions in serving its 33 million customers and upgrading its energy distribution networks in European markets. The company will use the coming year to take the necessary preparatory steps for the new public listing, with the aim of splitting the company in 2016 into a renewables-focused entity with 40,000 employees and a new company employing closer to 20,000. “We firmly believe that creating two independent companies, each with a distinct profile and mission, is the best way to secure our employees’ jobs. Our new strategy, therefore, isn’t a job-cutting programme”, said Teyssen. Once the necessary steps have been taken to spin off the company, E.ON will rank among the region’s leading green infrastructure companies and be a key name in introducing the latest renewable developments to the market. E.ON’s changed focus also brings with it greater investment, as the firm promised to up its €4.3trn budget by another €500m in expanding its European wind business and in strengthening its solar offerings. Also, E.ON will be looking to upgrade its already-impressive European energy distribution network in a bid to improve access to new products and services. However, E.ON’s new focus does not fall solely on renewables; conventional power generation still has a large part to play both for the region’s power consolidation and for the firm in general. “The transformation of the energy system will continue to require reliable backup capacity well into the future, as well as access to global markets for energy products. With a portfolio consisting of conventional power generation, global energy trading, and exploration and production, the new company will focus precisely on meeting these needs”, says Teyssen. In recent years, E.ON has established a strong foothold in the European gas market, and by focusing on infrastructural improvements and energy efficiency, the firm has a major role to play in exploiting known shale riches on the continent. With an already-impressive natural gas portfolio, the new company, which will be headquartered in the Rhine-Ruhr region, is well equipped to satisfy the secondary demands of a changed energy environment. Teyssen’s renown in the energy sector is well deserved, though what’s most impressive of all is his willingness to instruct radical and progressive change in an industry that has shown a single-minded desire to exploit fossil fuel proceeds at every turn. In choosing to rethink the firm’s corporate strategy, Teyssen is refraining from merely tapping known oil and gas reserves, instead embarking on the more difficult task of securing a sustainable future for the company and for the global economy.